What Should Be Plastic Utensils? Disposable tableware (paper and plastic dishes) does not break, has a small weight, and for its storage does not require much space, it is cheaper than glassware. But not everyone is aware of the danger that can come from disposable tableware. This is what we will tell in our article. Safe for food and beverages (it is important that it meets hygienic and medical requirements and does not interact with food). Must have an attractive appearance: a variety of colors, the possible presence of patterns, the absence of various kinds of deformations and the presence of foreign materials, etc. Maintain temperatures and do not change shape when in contact with hot drinks and food. Suitable for hot and cold dishes and drinks. Possibility to heat or cook in the microwave. Resistance to chemicals such as alkalis, acids, and fats. The presence of thermostaticity (the ability to hold dishes with hot food or drink in your hands and not to burn them). 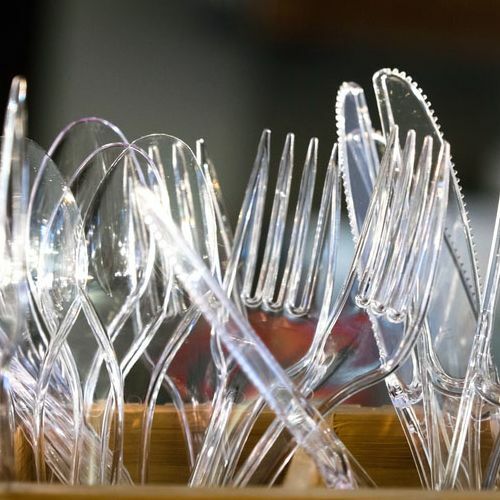 For items such as knives and forks, their primary properties are to cut and prick without deformation of this cutlery. Disposable tableware must have sufficient capacity and at the same time be compact and light in weight. Environmentally friendly and easy disposal. A triangle of 3 arrows – a sign of recycling of raw materials, symbolizing a closed cycle: the creation → application → recycling. In other words, the dishes or packaging marked with three arrows is suitable for further processing. The wine glass and fork icon is the most important marker. It testifies to the suitability of plastic utensils for contact with food. 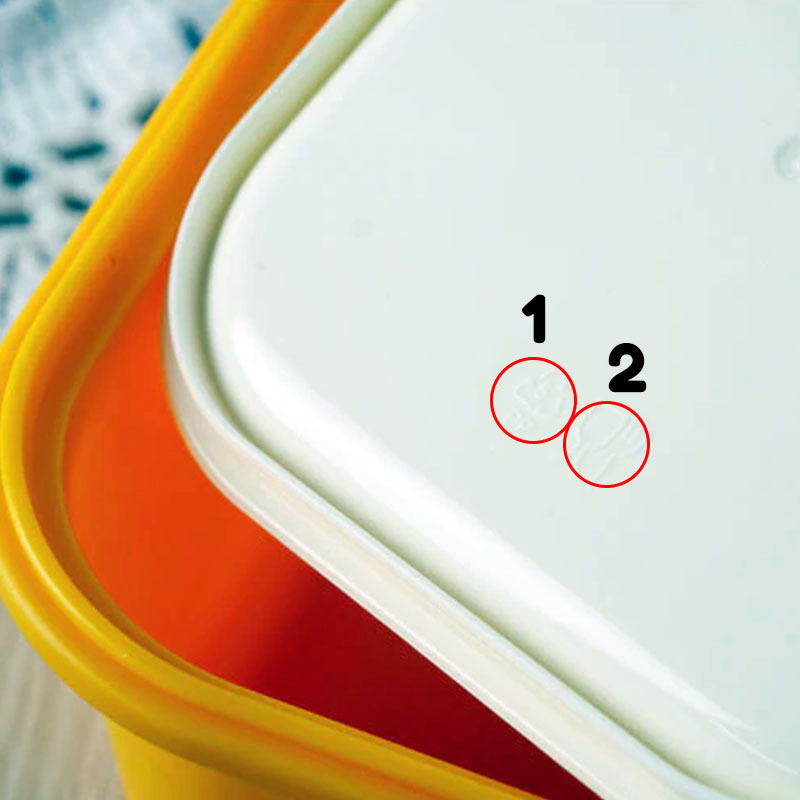 If such an icon is crossed out or missing, plastic products are not intended for food products. 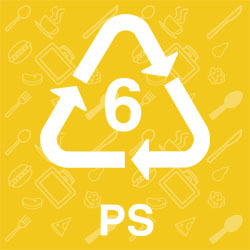 PS (6) – means polystyrene. 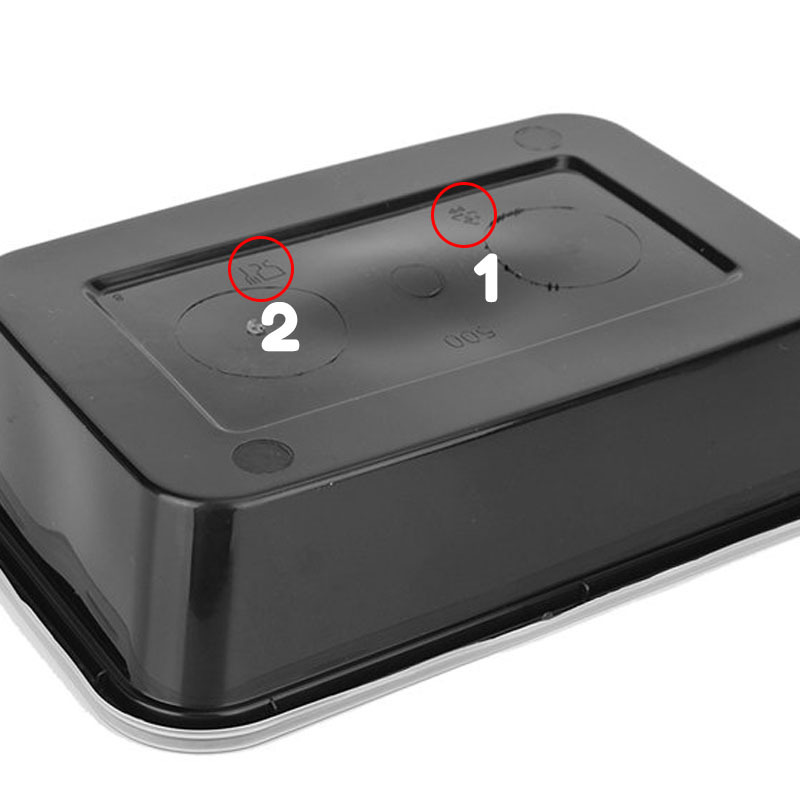 In addition, safety is confirmed by the image of the plate and fork, numbers 05 and 1. If used improperly, it can release phthalates. Where used: bottles, disposable dishes, bottles for cosmetics, packaging for products. If used improperly, they can release formaldehyde. Where used: bottles, food containers, bottles for household chemicals, plastic bags. Forbidden: use in the microwave, reuse. 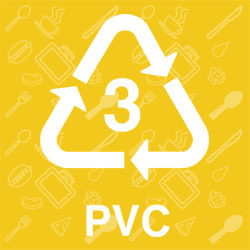 Polyvinyl chloride (PVC or V). If used improperly, phthalates and vinyl chloride are released. Where used: bottles, food film, tablecloths, containers for technical liquids. Forbidden: heat, cool, use for fatty foods. Low-pressure polyethylene (LDPE). When used improperly, it can release formaldehyde. 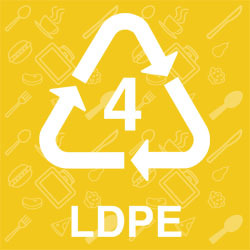 Where used: plastic bags, food containers, flexible packaging, trash bags. 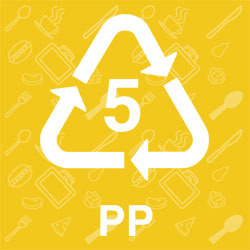 Polypropylene (PP). When used improperly, it can release formaldehyde. Where used: food film, food containers, food packaging, syringes. Forbidden: use for fatty foods, use for alcohol storage. Polystyrene (PS). When used improperly, it can release styrene. 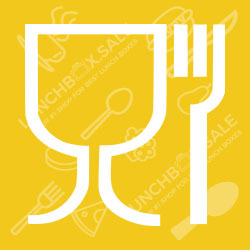 Where used: disposable tableware, food containers. Forbidden: to heat, use under hot drinks and food, use for storing alcohol, reuse. Polycarbonate and other plastics (O or Other). If used improperly, they can release bisphenol-A. Where used: baby bottles, flexible packaging, coolers, kitchen appliances. Forbidden: use for a long time, heat, reuse. Most of these plastics are safe if used correctly, but if the conditions are violated, some dangers may appear. They can cause diseases of the cardiovascular system, respiratory system, genital area, central nervous system, cancer. Also you should know that almost all of the listed types of plastic are fully or partially recyclable. 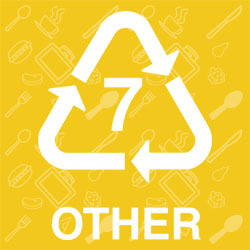 So collect disposable dishes and old lunch containers and hand them over to the appropriate recycling facilities. 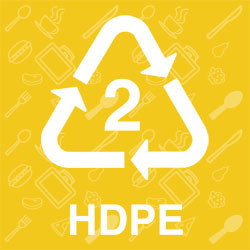 To store food, use only plastics marked with the numbers 2 (HDPE) and 5 (PP). 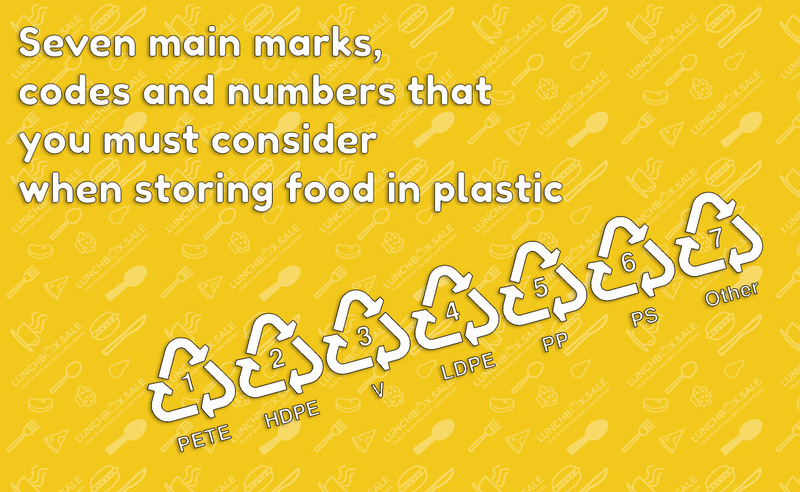 Do not use other types of plastic for food storage. Give it away for recycling. 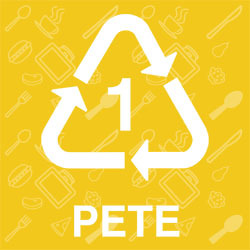 Do not reuse PET bottles and do not heat food in the microwave in the food trays in which you bought it (unless the package indicates that they are suitable for this purpose). Do not heat food in the microwave in packages containing bisphenol (group 7), do not pour hot liquids into them, and do not wash them in the dishwasher. Use all plastic packaging in accordance with the instructions for them (recommendations for temperature, use of a dishwasher, etc.). Do not purchase mineral water in plastic packaging, that standing in the sun. It is better to buy drinks (including milk, yogurt) in glass containers. One-time packaging and tableware are designed to be used once. Leaving them for storage of other products is not necessary. After use, a thin protective layer on the plastic is destroyed, and it cannot be reused. Always pay attention to the appearance of packaging, its integrity, clarity label, the expiry date. 1 Principle. Disposable tableware should be used strictly for its intended purpose. On each type of disposable tableware, there is an indication of what it is intended for: for cold, for hot, for cold drinks, for alcohol, etc. If a hot drink is poured into a plastic cup intended for cold, the plastic begins to release toxic substances. 2 Principle. Not store any products in disposable utensils, especially used. 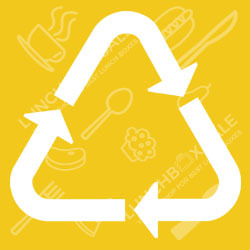 After using disposable tableware, the protective layer is destroyed, and when storing products such as sugar in it, toxic substances can pass into the product. 3 Principle. It is better not to take meat and cheese in plastic packaging. Try searching for meat and cheese shops where the product is wrapped in paper. 4 Principle. Plastic dishes are not intended for ethanol-containing substances – alcohol. Ethanol is an aggressive solvent. Toxic substances in the plastic begin to dissolve and fall into the drink. 5 Principle. The best option for disposable tableware is paper. Paper is cellulose. Even if its particles enter the body, nothing terrible will happen.